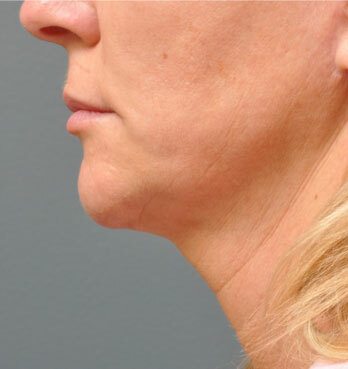 A new, non-surgical technique for skin tightening and lifting that reduces the appearance of fine lines and wrinkles is now available with our San Diego dermatologist Deborah H. Atkin, M.D. at Dermatology & Laser of Del Mar. Ulthera®, also known as Ultherapy®, a cutting edge no downtime ultrasound treatment, does not require incisions or injections. 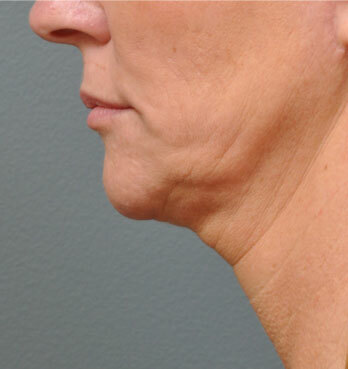 This innovative procedure can effectively help the skin rebuild collagen for a smoother and more youthful appearance. Please contact us for more information on Ultherapy®, or to schedule a consultation at our practice. Patients who are experiencing signs of aging along the face and neck, such as wrinkles and laxity, may not need invasive surgical procedures or injectable treatments to achieve effective lift and renewal of the skin. Ultherapy® is a non-surgical treatment designed to tighten areas of skin laxity and rejuvenate your appearance. The procedure works by using focused ultrasound waves to deliver heat deep below the surface of the skin to stimulate the skin’s natural collagen, helping it grow and rebuild the skin to create a natural lift and gradual tightening. This ultimately make the skin appear smoother and diminishes the appearance of wrinkles and other signs of aging. Good candidates for Ultherapy® include patients who are showing mild to moderate wrinkles and laxity that result from a loss of firmness and elasticity in the skin. Did You Know?Did you know there have been over half a million safe treatments performed worldwide? Length of Time for Procedure? 30 to 60 minutes, depending on the extent of treatment required to meet each patient’s goal. Who Will Perform This Procedure? Deborah H. Atkin, M.D., our board-certified dermatologist. What is the Recovery Time? There is typically no recovery time necessary after Ultherapy® treatment. Final Results of the Procedure? Patients will enjoy some initial improvement with the ultimate lifting and toning taking place over 2-3 months, as tired collagen is renewed and replaced with new, stronger collagen. We have found that patients who are well-informed about their cosmetic options are more satisfied with their results. With this objective in mind, we have provided answers to frequently asked questions, or FAQs, about Ulthera®. 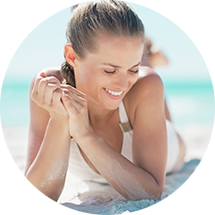 To find out if Ulthera® is right for you, please contact our office to schedule a consultation. A good candidate for Ultherapy® is someone who may be unhappy with skin that has a crepey or relaxed look. While Ultherapy® is not a replacement for a facelift/neck lift, it does help stimulate collagen, which helps to lift and tighten your skin. Younger people may also choose to have Ultherapy® as a way to begin the anti-aging benefits earlier and start aging from a better place. What problem areas does Ultherapy® target? What kind of results do you get? 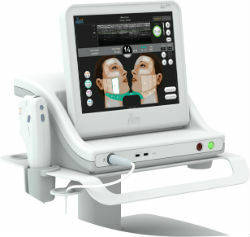 Ultherapy® helps to tighten and lift areas that have moderately loose skin. By stimulating collagen from within the skin, it helps to reduce excess skin above the brow, jawline, and cheeks. Ultherapy® allows a gradual result that is both natural and effective. While not the most comfortable of procedures, our staff will assist in making sure you are given adequate time to numb prior to treatment. We can also offer a mild sedative here in the office if the patient has a driver present. Are there any risks or side effects of having Ultherapy® treatment? The most common side effect of Ultherapy® is slight swelling and tenderness to the touch, but these side effects tend to be mild in nature and subside fairly soon after treatment. Can Ultherapy® give the same results as a facelift? While Ultherapy® is not a replacement for surgery, most patients prefer the noninvasive and natural look of their results. Ultherapy® is ideal for patients who want some lifting and tightening but without the downtime and financial impact of surgery. How long will the results of my Ultherapy® treatment last? You keep whatever results that you yield from your Ultherapy® treatment. As your skin does continue to age, patients sometimes favor having touch-up treatments every few years to help keep up with the aging process. Do you have any questions? 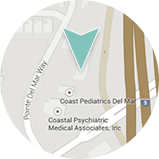 Please contact Dermatology & Laser of Del Mar or call 858.350.7546 (SKIN) to schedule a consultation.